The ATMega4809 microcontroller (MCU) broadens the effectiveness of real-time control systems with a combination of intelligent hardware peripherals alongside the low-power capacity of the AVR core. Elevate your design with a high-speed ADC, Core Independent Peripherals (CIPs), and on-chip Configurable Custom Logic (CCL). Use either Studio 7 or MPLAB X IDEs as a magnifying glass to look into your MCU and step through the debug. 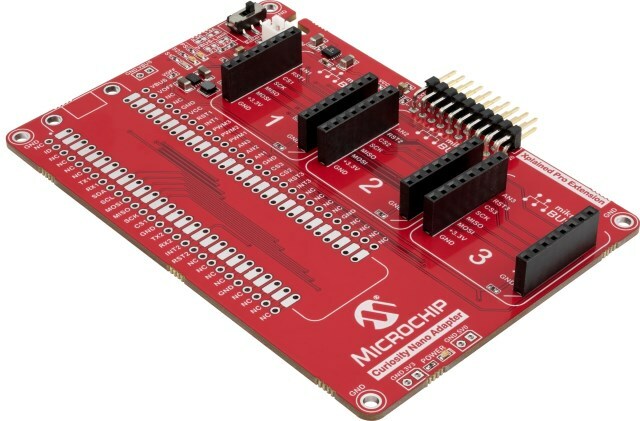 Free, easy-to-use graphical programming tools, START and MCC, allow you to intuitively program the target MCU. With full program and debug capabilities, the PIC16F18446 Curiosity Nano evaluation kit offers complete support for your next design. With the award-winning MPLAB X integrated development platform and MPLAB Code Configurator (MCC), the kit provides access to the Intelligent analog and Core Independent Peripherals on the PIC16F18446. MCC is a free, graphical programming tool to configure the rich set of peripherals and functions specific for your application.